The biggest trust us. We are the official transport for the first team of football in our región and for the most important sport entities of our city. We are specialist in logistic planning for congress and company’ events. We are leaders in coach hire services in Spain & Portugal. We offer our services with national wide coverage and we have secondary bases on Madrid, Barcelona and Lisbon. Our team are constantly trying to improve the quality of our services. The rating of our clients is the higher one of all our competitors. 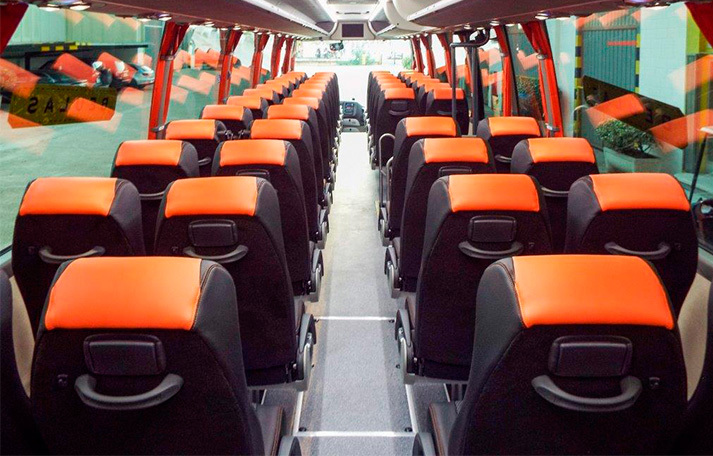 If you are interested in rent a bus in Spain, we will help you to choose the optimum size for your transport requirements. We have a wide range of vehicles totally news with many types of buses and sizes, equipment levels and extras. If you have a special requirement, we recommend you contact us and our experienced staff will advise you on which is the best choice to your coach hire needs. Here you can see some pictures of our buses and clients during one of our tours around Spain & Europe. We prepare tailor made tours according with your requirements. Experts in coach hire services in Córdoba, Madrid, Barcelona and throughout the country, we offer coaches for weddings, coaches for trips, coaches for visitors, buses for companies and much more.